During ballot setup, one of the things election administrators must do is provide the names of the candidates appearing on the ballot. 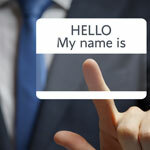 In addition to providing a candidate’s name, occasionally an election administrator will also treat this as an opportunity to append a job title, professional designation, geographic location or any number of things that aren’t part of a person’s name. This is poor ballot setup as it creates a cluttered, voter-unfriendly ballot. When it’s necessary to communicate more than a candidate’s name to the voter (and it frequently is), the election system provides the tools necessary to do that using best practices and keeps the various parts of a ballot clean and orderly. “Clean and orderly” means a voter’s eye is able to bring a ballot into focus quickly and make sense of it without having to study it. Do include it as part of the candidate biography. Don’t include it as part of their name. As any reader familiar with the system knows, the system understands—based on the voting rules you specify during setup—when and what type of messaging to display to the voter and displays that messaging in an appropriate location (appended to the position name would not be considered an appropriate location). To make matters worse, this ballot had candidate biographies enabled so the voting options yes and no were clickable. In other words, the election administrator had to load the biography for Larry Bevilacqua (not the candidate’s real name) into the system twice. Once for the “yes” candidate and again for the “no” candidate. Not only does this add to the burden of election setup, but it creates a frustrating experience for the voter who might read both biographies only to realize they are in fact the same, and he just wasted his time reading the same biography twice! Furthermore, it creates confusion for the voter because when candidate biographies are enabled on a ballot, a message displays to the voter that says, “For candidate biographical information, click the candidate’s name.” Of course on this ballot, the candidate’s name wasn’t being used as a candidate name, it was being used as a position name, so clicking on it did nothing. Evote supports the ability to add a comment field to a position where a voter can provide a free-text comment along with their vote. There is also the ability to provide a caption that accompanies this comment. If you are enabling the comment option, you should also always provide a caption. Otherwise you end up with a text field appearing on the ballot without there being any instruction to the voter why it’s there or what should be done with it. The candidate name field is for candidate names and the position name field is for position names. I’ve never seen a case where it was truly ever necessary to attempt to force any voting instructions or any other type of messaging onto the ballot using those fields. To the contrary, in the handful of cases where I have seen election administrators try to do that, it usually only results in a messy ballot. For the sake of your voters, when configuring a ballot, use these fields only for their intended purpose.